Cresap Bay Park is probably the most well-known launch site for accessing Lake Merwin. Boasting a day use area with a grassy picnic area, sectioned off swimming area and a Two-lane boat ramp, or overnight options including 56 campsites and a 23 slip private moorage for campers only. 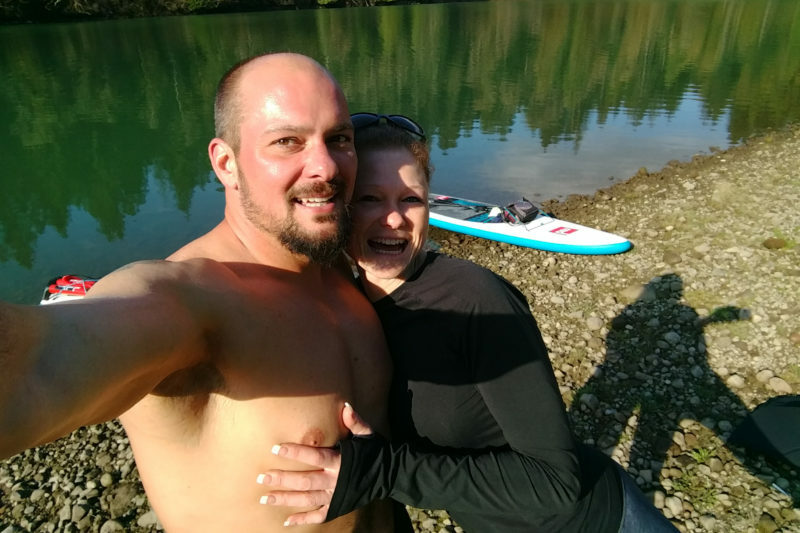 Stand Up Paddle Boarding Cresap Bay is an excellent way to enjoy Lake Merwin. Clean public restrooms with running water for the day use area, restrooms including hot showers (always a plus!) for overnighters. NOTE: They do not allow personal watercraft at the overnight private moorage, which means paddlers must launch from the main day use launch. Cresap Bay is an extremely popular summer time destination for all types of water sports users. It’s not uncommon to see a “FULL CAPACITY” sign at the entrance by mid-morning on busy weekends, which is why we often end up at the Yale Park Launch or the “1 Lane Yale Bridge” as backup plans when Cresap Bay is at full capacity. A nominal parking fee of $3 per vehicle is required during the peak season on Friday thru Sunday and major Holidays. This is one of the cleanest and most well maintained Parks in the area, and makes a great spot for a day of family fun on the water! Heads up, no paddle watercraft of any kind is allowed in the sectioned off swimming area. 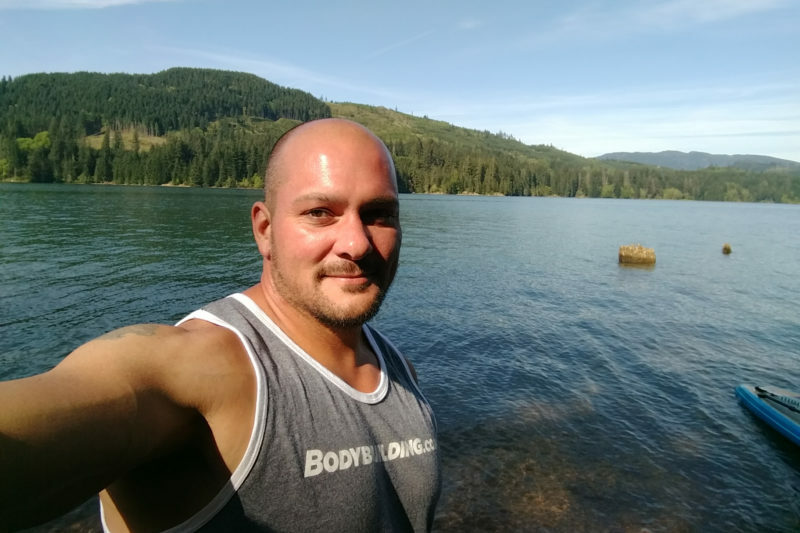 Lake Merwin is famous for it’s exceptionally deep waters at an amazing 620 ft maximum depth and some of the best Kokanee fishing in the Northwest. Definitely expect to be sharing the launch with lines of boat trailers on busy summer days. 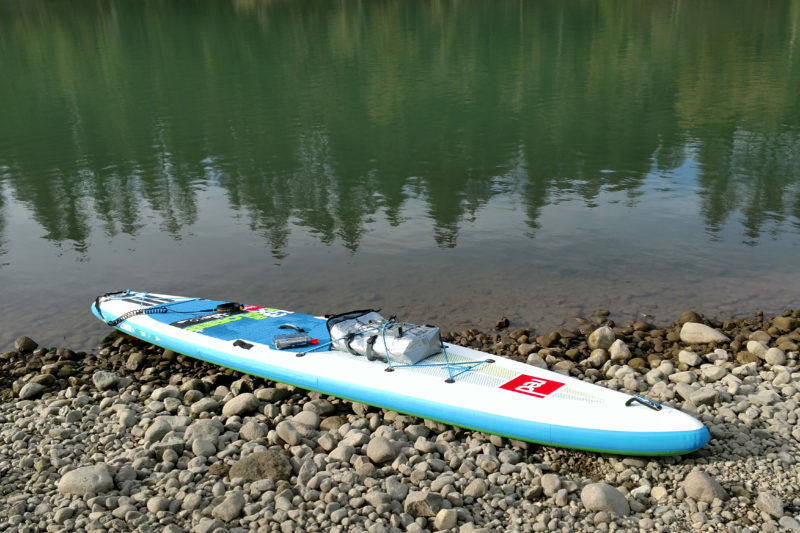 The most popular method of fishing on Lake Merwin is trolling, most often using outriggers or some other type of diving system to reach the lower depths. IF there is parking available, the parking spaces are very close to the launch and make for easy unloading in the nearby grassy areas. Lake Merwin is one of the largest bodies of water in Washington State with a seemingly never ending 32 miles of shoreline plus multiple inlets to explore and the always calming and serene upper arm of the lake, which is actually a section of the original Lewis River that once flowed thru freely thru the valley prior to the man-made Merwin Dam built in 1931 that created the Lake Merwin we all know and enjoy. The paddle heading up the Lewis River section of Merwin until it reaches the Wye facing straight towards the Dam (which is blocked by a buoy line to prohibit watercraft from getting too close to the Merwin Dam) or taking a sharp right turn and beginning the paddle up Canyon Creek until eventually reaching the last set of rushing waterfalls before Canyon Creek calms down into the mellow waters that spill into the Lake is by far one of our favorite SUP Destinations in Washington State. The eddies swirling around the rocks at the base of the Falls make a great resting point while you take in the scenery. To reach the Canyon Creek falls, head “Left” leaving either the Cresap Bay Launch or the 1 Lane Yale Bridge Launch sites and follow the signs leading you into the 5mph No Wake zone. Small waterfalls and streams feeding the lake from both sides of the Lewis River, wildlife including river otter’s and large almost furry looking Tiger Musky, and moss covered trees lining the banks make this one of the most scenic paddles in the area. Small secluded beaches along both sides of the river are spread out along the Lewis section, making for great places to take a break from paddling or a picnic lunch. Once you enter the Canyon Creek tributary, it’s almost a guarantee to see fish darting underneath your board in the crystal clear waters. This section of Lake Merwin is suitable for all skill levels, and the kiddos & adults will get a kick out of the fish in Canyon Creek. Due to the sheer size of the lake and the often heavy boat traffic, the waters right outside of the Cresap Bay launch can get surprisingly rough! For beginners, it may be better to pack your boards down the steep stairs of the 1 Lane Yale Bridge to avoid to heavy boat traffic and high winds. The main body of Lake Merwin can be very aggressive water. It is always recommended to check the wind reports prior to planning a paddle trip across the lake, but if you do show up and find the water a bit intimidating, head up the the Lewis River and avoid the boat traffic & winds for a nice mellow paddle the whole family can enjoy. Life vests & safety whistles are very strictly enforced while stand up paddle boarding Cresap Bay on Lake Merwin! And no, your paddle board does not legally count as a flotation device. Note: Launch Condition & Difficulty Level is assuming launching at Cresap Bay and paddling the main body of water. 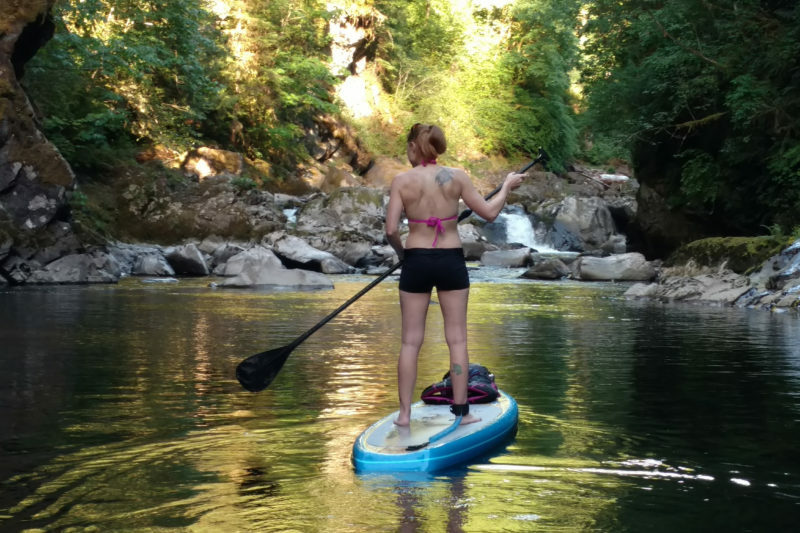 The section of The Lewis River is much more mild and suitable for all skill levels.